The twist-filled sitcom returns Thursday after a trip to hell and back. 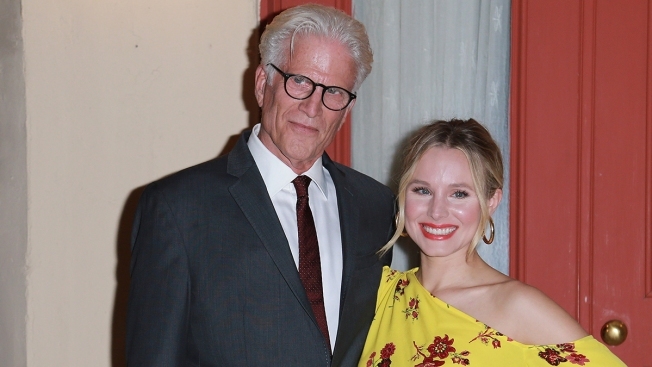 "The Good Place" stars Ted Danson and Kristen Bell. In the Season 2 finale of "The Good Place," demon-with-a-conscience Michael (Ted Danson) visits Earth, and briefly gets behind the bar to sling drinks and advice. The Sam Malone moment didn't represent cheap "Cheers" sentimentality as much as signal the latest twist for a high-concept sitcom with even higher aspirations. The message: It's time to give the past another shot. After a trip to hell and back, "The Good Place" returns for a third season Sept. 27, with the four limbo-laden human characters given a chance for a do-over at life. The surprise endings (spoilers ahead) that capped the first two seasons of "The Good Place" both defied expectations – and made perfect sense, after the recovery from shock-infused laughter. Season 1 introduced the human quartet, whose shared penchant for self-destruction plays out in deep individual flaws: We met Eleanor (Kristen Bell), a foul-mouthed scammer; Tahani (Jameela White), a British socialite consumed with envy and herself; Jason (Manny Jacinto), a not-always-lovable dumbbell; and Chidi (William Jackson Harper), a moral philosophy professor who can't make a decision. After comically premature deaths, they land in "The Good Place" – ostensibly Heaven clad in a pleasantly dull suburbia where frozen yogurt and warmed-over banality flow. Michael created this seemingly benign after-world to ratchet up the torture of damned souls by turning them against one another. But the four bond over Chidi's philosophy lessons, which slowly help open their minds to their earthly failures – and to the realization that the Good Place is actually the Bad Place. In Season 2, Michael grows to appreciate and even love the humans as they endure frequent memory-wipes and different iterations of the Good Place experience, figuring out their Bad Place plight every time. He engineers their escape, and gets them sent back to Earth so they can meet as strangers – and band together to earn spots in the Good Place. The surreal NBC comedy, created by Michael Schur, is grounded in humor and just enough lofty thoughts to propel the action with a minimum of preaching. The show is about creating the best version of yourself – which means acting selflessly. Under that ever-timely definition, the characters (and probably most of us watching) aren't quite ready for the Good Place. There's much to be done – and undone. It's going to take teamwork to tackle the eternal riddle. Whatever the answer, it seems likely, at least in Schur's world, that the Good Place is somewhere where everybody knows your name.